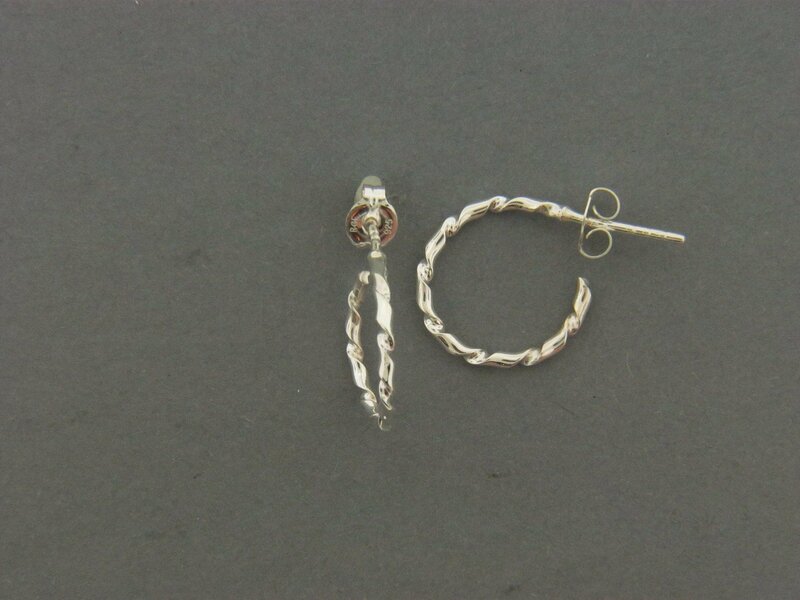 Handcrafted sterling silver .925 14 1/2 round twisted wire in a round hoop. Approximately the size of a dime, with a sterling post and ear nut. Simple for a everyday pair of earrings with a little twist.